Francesco L’Erario was born on march 8th, 1970 in Trieste, Italy, a city that has been representing a melting pot of races and cultures from centuries, all merging in this small territory from all over Mitteleurope. He immediately begins to develop a strong interest for music that emerges naturally by studying the piano, starting at age 5. At the same time, he reaches out to the world of singing by joining a youth choir of the City of Trieste, the “Coro delle Voci Bianche”, with which he sings at many concerts both foreign and domestic and participates in various theatrical representations, such as Puccini’s “Turandot”, at the mere age of seven. During those same years his desire to learn music from all scopes and points of view brings him to start studying the clarinet, which he will later perfection at the “G. Tartini Music Academy of Trieste”. His desire to take all the possible paths in music takes him to explore in a more decisive way the realm of popular music: at the age of ten he begins playing the drums, and at the same time develops a tendency and love for composition, that will mark him as a musician over the years. At the age of thirteen he writes and composes his first songs (music and words) and keeps at it as a member of the group “Knightlore”, as a drummer, singer and of course, having legally registered as a songwriter, as a composer, during all the eighties and the very first nineties. After graduating high school and graduating University with a Degree in Applied Chemistry, he decides to go deeper in the study of Composition, at first under the teachings of Master A. Michelini and later under the teaching of Master G. Pipolo, a very famous and respected composer on the international scene, thanks to whom, aside from sustaining and passing wonderfully all the Composition exams at the Music Academy, he was able to maintain and develop his own artistic creativity, holding on to the trait of being artistically malleable, which will later let him explore all musical fields. After having composed tens of pieces for various formations (choirs, wood quartets, piano and voice, harp-oboe-flute trio, and so on) he decides to delve deeper into the filed of music applied to visual arts. 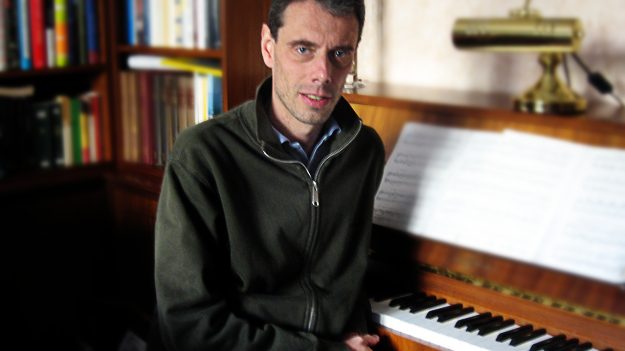 Thanks to his participation to an important training seminar held in Aosta in 2005, titled “Composing for the Cinema”, and held by various well known composers of film scores, Francesco begins to write music for short films, striking partnerships with various directors. Alongside his activity as a composer in all fields and realms of music, he is a teacher of both pop music and more “intellectual” music, which is done through the teaching of theory subjects such as composition, harmony, reading music, and so on, and the teaching of the piano as an instrument.